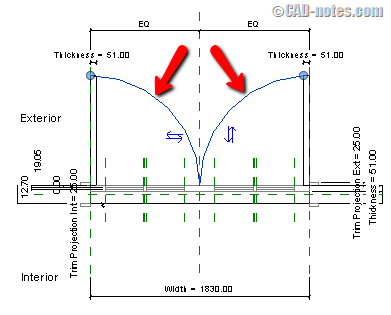 I had a question if we can change door swing projection line type in Revit family. 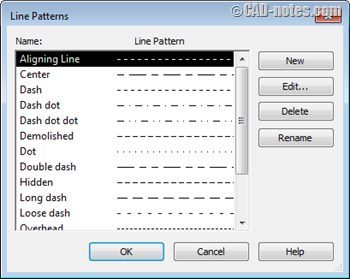 He wants to change the line type (or line pattern in Revit) to dashed line. 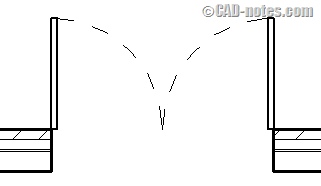 Certainly, you can change object line pattern in Revit! Let’s open any door family. We will try to change the door swing projection line to dashed line. Open floor plan view. And select the swing projection line. Now go to properties palette. Under identity data, find Subcategory. Check what category is assigned to those lines. In this example, you can see the subcategory is Plan Swing [projection]. If it’s not, change it to Plan Swing. This is the default subcategory that you can use. Now we need to change this properties in project level. Open your project file, where you want to change the door appearance. Click object styles at the bottom of this dialog box. 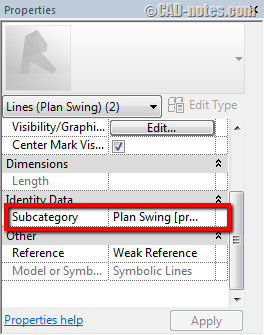 In object styles dialog box, find the plan swing subcategory. Or whatever your subcategory name. You can also create new subcategories if necessary. As you can see, you can change the line properties here. Line weight, color and pattern. Change the line pattern to dash. Click OK to close object styles dialog. And click OK to close visibility/graphic overrides dialog. Now you can see the door swing projection are dashed lines. 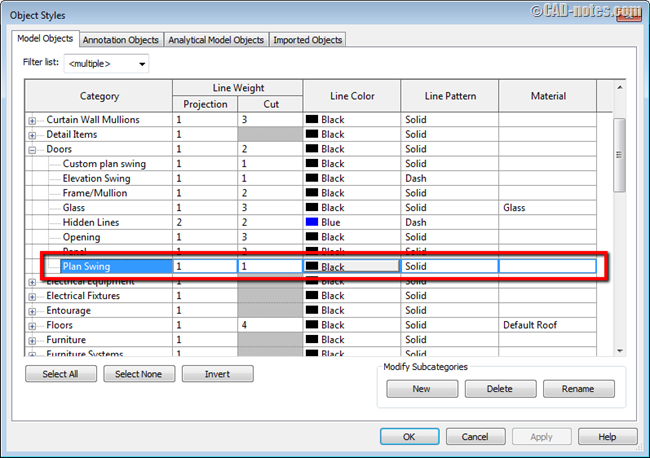 Revit already has many predefined pattern. But you can create your own if you do need to create your own line pattern. Go to manage tab. In settings panel, click additional settings> line patterns. Revit allows you to modify the object appearance. 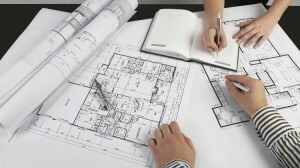 Maybe not as straight forward as in AutoCAD. But once you are familiar with it, it’s actually very easy. Have fun with managing object properties! Thanks for your amazing reply! That’s been a great help. Thanks again! !